WASHINGTON, June 14, 2018 – Assistant to the Secretary for Rural Development Anne Hazlett today unveiled a new interactive feature on the United States Department of Agriculture’s (USDA) rural opioid misuse webpage. Now webpage visitors can use an interactive map to learn about, access or replicate actions rural leaders are taking in small towns across the country to address the opioid epidemic through prevention, treatment and recovery opportunities. 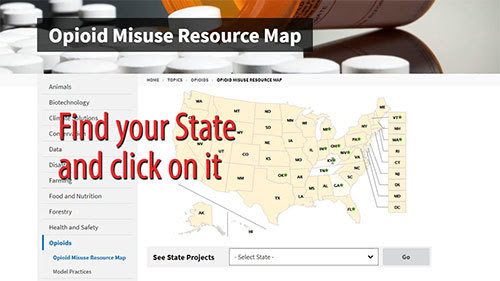 The interactive map can be viewed at www.usda.gov/topics/opioids/resources-map. WASHINGTON – National Farmers Union (NFU) today announced 20 beginning farmers and ranchers from across the United States to take part in the 2018-19 Beginning Farmer Institute (BFI) program. The Institute empowers the success of America’s next generation of farmers by providing mentorship, technical training and leadership development to its participants. The Senate Agriculture Committee Wednesday passed its version of the farm bill, sending the legislation on to the full Senate for consideration. Senators voted 20-1, with just Iowa’s Chuck Grassley voting against the bill. The markup session included a visit by Senate leader Mitch McConnell, who told the Committee the Senate will consider the farm bill before the July Fourth recess. Further, Minority Leader Chuck Schumer has asked his party to “not slow down” the process. In a joint statement, Committee leaders Pat Roberts and Debbie Stabenow said the bipartisan farm bill process “is a reminder of how things should work in Washington,” while urging their Senate colleagues to support the bill. Roberts said he was hopeful the Senate would consider the bill next week. The Senate bill was created to receive votes from both sides of the aisle, a stark difference from the Republican-only backed House version of the bill that failed last month. House Ag Democrats want to “go back to the drawing board” to fix the bill, while the Freedom Caucus is also demanding a vote on immigration before reconsidering the farm bill. Iowa Senator Chuck Grassley was the only member of the Senate Agriculture Committee to vote against the farm bill during Wednesday’s markup session. Grassley aired-out two concerns to the committee that led to his vote against the otherwise bipartisan bill. Grassley sought stronger payment limits to farmers in the bill, an idea he has long-supported. During a speech earlier this week, Grassley stated: “I do not believe in unlimited subsidies,” mentioning those included in the House bill. Grassley says farm programs “should provide temporary, limited assistance,” and later announced intention to offer an amendment on the Senate floor to include payment limits. During the markup session Wednesday, Grassley also said he had concerns with language in the bill regarding the cultivation of hemp that is supported by Senate leader Mitch McConnell of Kentucky. Grassley believes that McConnell’s bill should go through the Judiciary Committee, of which Grassley chairs. McConnell says he worked with the Justice Department and the Food and Drug Administration when crafting the language of the bill. President Donald Trump could impose tariffs on Chinese good Friday, or perhaps next week, according to Politico. Sources say the imminent move faces a Friday deadline for publishing a final list of goods that will be hit with the 25 percent tariff. However, the order for the products list deadline does not offer a timeline on when the tariffs will be imposed. 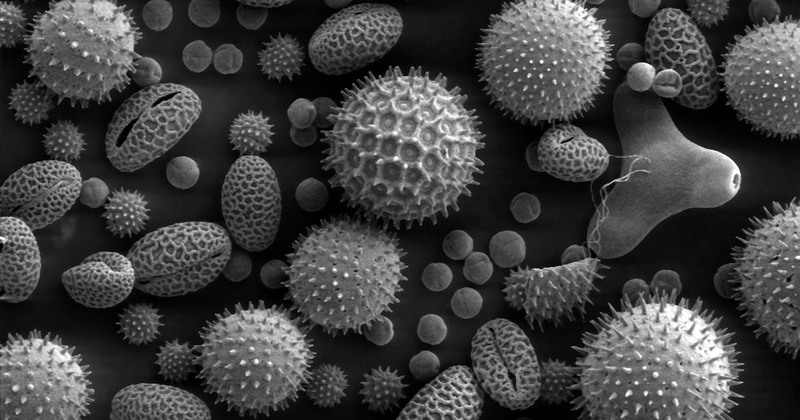 Experts don’t expect much change from the proposed list of products, but say some items could be removed from the list following the earlier public comment period. The tariffs are sure to spark further tensions in the ongoing trade talks and trade war between the U.S. and China, as China targets U.S. agricultural products. China has even directed its own farmers to grow more soybeans to lessen the nation’s dependence on U.S. soy. Farmers rallied in South Dakota Wednesday against the Environmental Protection Agency’s alleged war on biofuels. As EPA Administrator Scott Pruitt visited the state, a tractor rally in Sioux Falls featured more than 200 participants that Growth Energy says voiced their concerns about attacks on biofuels, including the RIN export proposal, hardship waivers for refiners under the Renewable Fuel Standard, and the delay in allowing year-round E15 sales. Pruitt said an event earlier this week in Kansas that the EPA has the authority to allow year-round E15 and would do so. However, farmers who rallied Wednesday expressed concern with Pruitt’s track record which shows agricultures concerns “have fallen on deaf ears at the EPA.” Pruitt called the meeting during his Midwestern trip “informative,” along with “candid and productive.” Pruitt also told farmers during his meetings Tuesday that he expects to send a new Waters of the U.S. Rule to the White House this week for review by the Office of Management and Budget. The Department of Agriculture has again extended the enrollment period for the revamped Dairy Margin Protection Program. The deadline, originally June first, is now June 22nd. The improved program protects participating dairy producers when the margin – the difference between the price of milk and feed costs – falls below levels of protection selected by the applicant. USDA has already issued more than $89 million for margins triggered in February, March, and April, and USDA offices are continuing to process remaining payments daily. Agriculture Secretary Sonny Perdue said of the first deadline extension that USDA received more than 500 new enrollments from dairy operations. More than 21,000 American dairies have signed up for coverage. However, Perdue says he is “certain we can do better with this extra week and a half.” The re-enrollment deadline was previously extended through June 8th. USDA says this will be the last opportunity for producers to take advantage of adjustments Congress made to MPP earlier this year. A team of Mexican grain importers and feed-millers will tour U.S. sorghum growing areas next week. The team from the National Association of Food Manufacturers for Animal Consumption will make stops in Texas and Kansas, as part of an effort to develop new relationships and strengthen existing relationships with U.S. suppliers. The group of buyers was selected by the U.S. Grains Council and represent key companies representing livestock and livestock feed operations in Mexico. Grains Council CEO Tom Sleight called Mexico a valued trading partner when it comes to sorghum, “in large part to the importance of the North American Free Trade Agreement.” Meanwhile, a Sorghum Checkoff spokesperson says the buyers will “leave with a better understanding of U.S. sorghum quality and production.” Mexico accounted for $103 million in exports of U.S. sorghum, equating to 568,000 metric tons, or 22.4 million bushels, during the 2016-2017 marketing year, and is the second largest export market for U.S. sorghum, behind China.